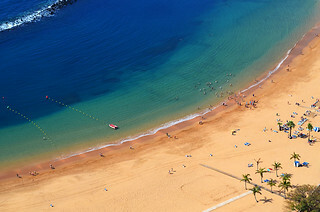 The ONLY website to show you the REAL Tenerife. What's Real Tenerife Island Drives About? When it comes to your Tenerife Holidays, don't miss out on the best parts of the island. Real Tenerife Island Drives is about showing visitors to Tenerife that there's much more to this island than just the sun soaked beaches of the coastal developments. There's history, beauty, culture and tradition set in a landscape that varies from lava strewn crater, through pine coated forest and vine covered terraces to coastal banana plantations, rocky shores and fine sand, palm tree lined beaches. 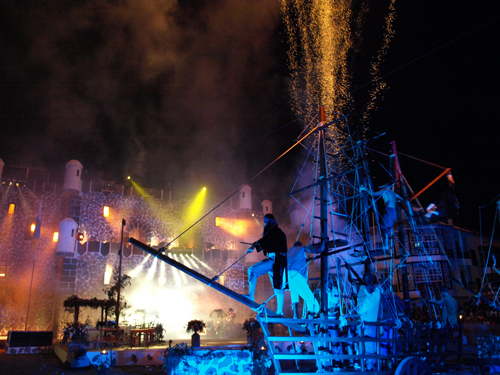 Throw into the mix a culture where fiestas are as important as work and you'll find fireworks, traditional costumes, bullock-led carts, goat filled streets and an atmosphere of fun and celebration somewhere on the island just about every week of the year. Having 'Island Drives' is like having your own personal tour guide in the car with you. Why? Because 'Island Drives' has been written by people who actually live in Tenerife and have spent years as travel writers exploring the island. There are many towns and villages on Tenerife that remain shy of the standard tourist trail and unseen by most visitors. 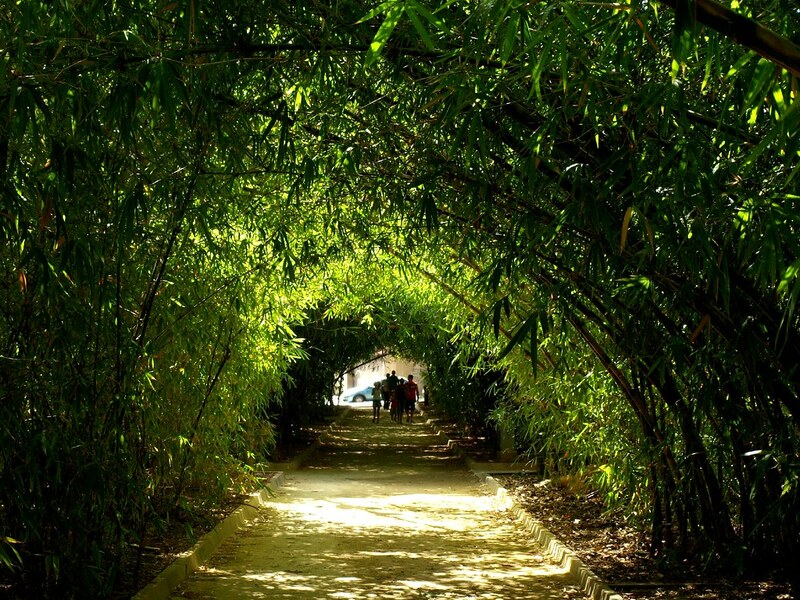 Even those that are firm favourites with tour companies have unseen corners just a stone's throw away from unsuspecting groups of visitors.Take a look at some of Tenerife's lesser known beauty spots waiting to be discovered when you book your flights to Tenerife. To find out details about the best fiestas, musical events, tapas routes and anything out of the unusual, check out our monthly events update of our main website, The Real Tenerife. Click the link to get to the home page where as well as the month's events, there are restaurant and hotel reviews plus articles about food, fiestas and all things Tenerife. 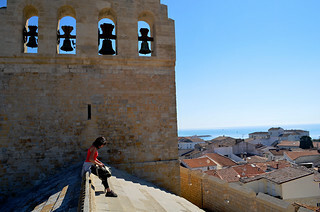 Read Buzz Trips for a unique view on holiday destinations around the World. 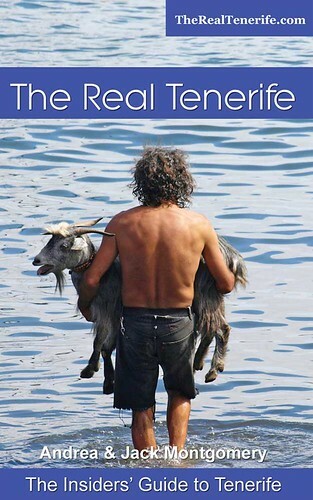 Buy a copy of Real Tenerife Island Drives, Single Routes, or Island Walks online (excluding Kindle) and receive a FREE copy of "A Captivating Coastline" by email. See detailed walking guides for Tenerife for more information about the free guide and walking on Tenerife. With over 100 car hire companies operating on Tenerife, most of which you may never have heard of, choosing a company to best suit your needs can be a hit and miss affair. To help, we've compiled an independent on-line guide to car rental companies on Tenerife. Follow this link to find the car rental firm on Tenerife that's best suited to your needs. Looking to Rent a Car on Tenerife? This is a Flickr badge showing public photos and videos from Snapjacs. Make your own badge here. Copyright © 2006 Real Tenerife Island Drives. All rights reserved. No part of this website may be copied or reproduced without the written permission of Real Tenerife Island Drives . 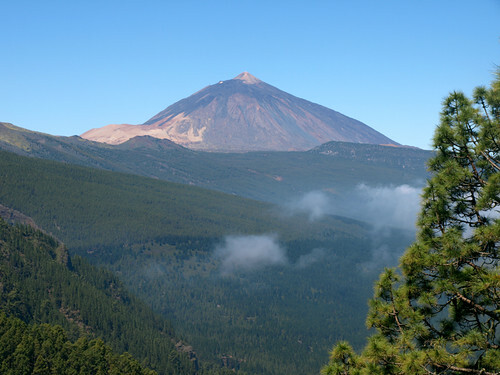 Tenerife’s countryside boasts an incredible variety of different terrains and scenery. With fascinating routes through dense forests, plunging ravines, ‘other worldly’ volcanic landscapes and unspoiled coastlines, Tenerife is a walker’s paradise. With year round sunshine to accompany you, why not check out some Tenerife flights and take to the hills. Discover the best of Tenerife’s great outdoors with our guides to the places to go walking and hiking on Tenerife. The authors of Real Tenerife Island Drives are pleased to announce the publication of ‘The Real Tenerife - The Insiders' Guide to Tenerife’. 200 pages crammed with in-depth reviews of towns, villages, hotels, restaurants and bars as well as the island’s history, culture, traditions, food and drink, language, climate and an extensive calendar of fiestas. Ideal for quick visits, holidays, temporary residence and a whole lifetime of enjoying the best of what Tenerife has to offer. Available on Amazon Kindle as well. 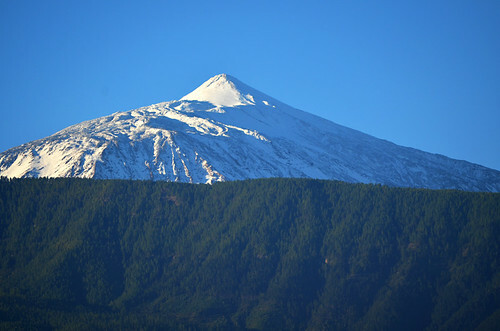 Mount Teide covered in snow, a sight that can keep us company over the winter months on Tenerife. Sometimes there's more, sometimes less but it adds more drama to what is already an exceptional landmark, especially if viewed from the northern side of Tenerife. Best views are from Tacoronte/El Sauzal, the Orotava Valley and from the Icod de los vinos area. Discovering Tenerife's hidden delights and getting to know its people and customs, we've used our accumulated knowledge to design a series of road journeys that take you off the standard tourist trail and into the heart of Tenerife to experience its dramatic scenery, historic towns and prettiest hamlets. On Tenerife, the ratio of altitude (sea level to 3718 metres) to surface area (86km long, 56km wide) provides a multitude of micro-climates, and the volcanic make-up of the land offers unrivalled drama in its scenery. With 'Island Drives' you can move through spectacular landscapes from snow to sunbathing in a half day journey. Packed with information, anecdotes and stunning photographs, Island Drives is your key for unforgettable holidays in Tenerife. All that's left now is to order Island Drives PDFs, book your Tenerife Holidays and prepare to discover a vibrant, fascinating and friendly island rich in history and culture. Want to know more about Island Drives? When it comes to reliable information about Tenerife, the team here at Island Drives are constantly travelling the island to parts that visitors and even most residents never see, trekking along goat trails in the mountains, treading the streets of every town and village, revelling at fiestas until dawn -all in the name of research. In the About Tenerife pages we share some of our extensive personal knowledge of the island of Tenerife. So browse the site, check out a Monarch vacation package and get the most from your Tenerife holidays . NOTE:- REAL TENERIFE ISLAND DRIVES IS NO LONGER AVAILABLE IN BOOK FORMAT. FROM JANUARY 2015 IT WILL ONLY BE AVAILABLE AS PDF DOWNLOADS AND IN ON KINDLE.